Satisfy Your Craving At These 10 spots! If you ask me, the world can be divided into two types of people: those who love oysters, and those who have yet to try them. Because let's be honest, they do look kind of weird. But I promise you, they are delicious. As you may have guessed, I am one of those people who is head over heels for oysters. I simply can't avoid ordering them any time I have the option. So if you're having a serious oyster craving, where should you turn? 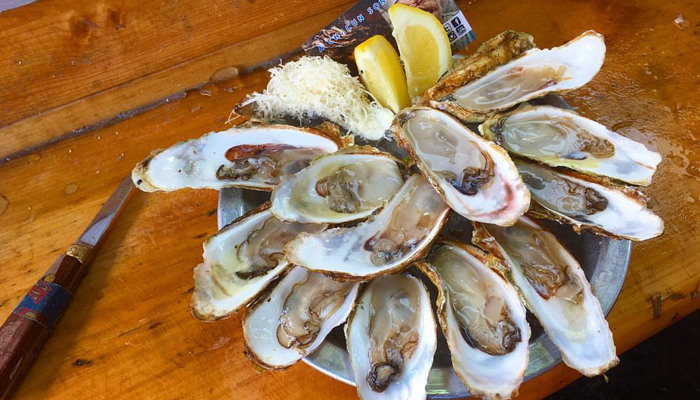 I've compiled a list of some Montreal spots that are sure to provide you with a great oyster experience. Check them out! Queue de Cheval has recently hatched this new hotspot that will surely become your new favourite restaurant! If you don't mind devouring into beautifully-aged steaks, tasty wine, sashimi, lobster, and ALL of the oysters, then this is your place. Angry Lobster is swanky without being intimidating and has an awesome vibe. Great for a dinner or some casual drinks. Oh, there’s also a rooftop cigar lounge. I just recently paid a visit to this seafood goldmine and it was definitely worth it. 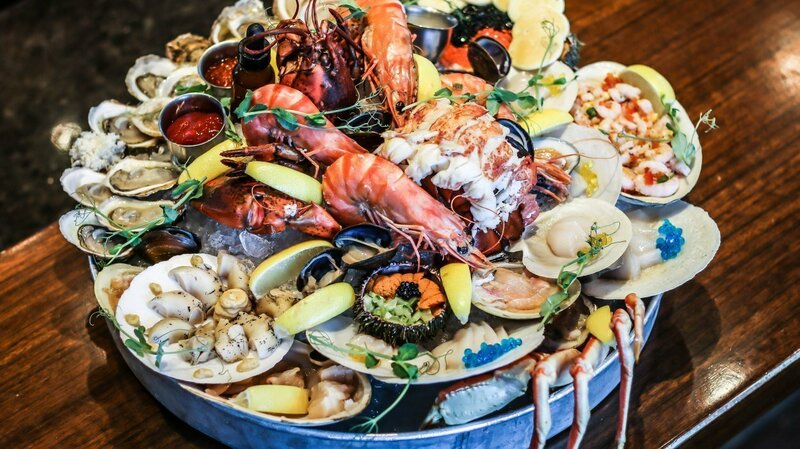 For only $85, you and a friend can share the Maestro Platter, which includes clams, snow crab, mussels, shrimp, and more. Honestly, it's seafood paradise. They even serve dessert oysters with a Grand Marnier sauce, and oyster shooters! 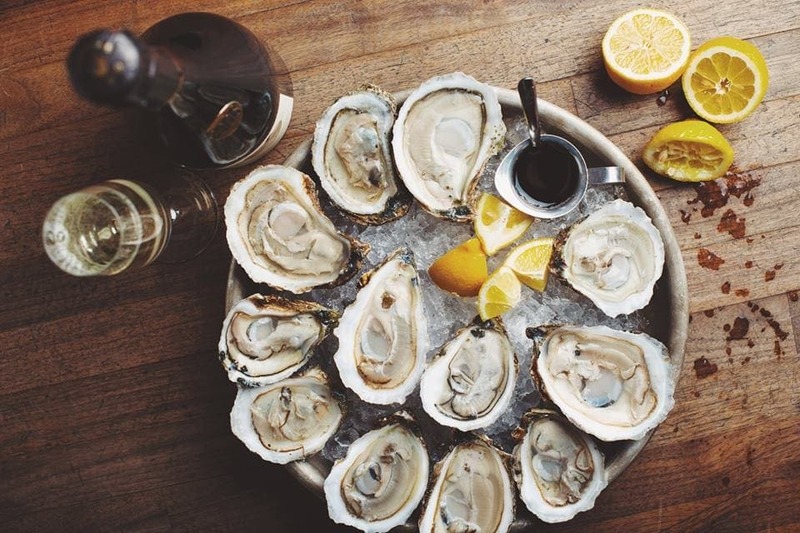 Belon is a place where you will enjoy the freshest oysters and have a wonderful dining experience. 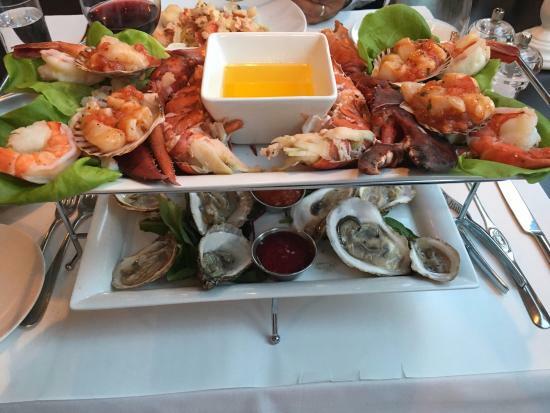 Their mountains of seafood will be more than enough for you to share with a friend. People are raving about their Pan-Seared Scallops so you may want to try that out as well! 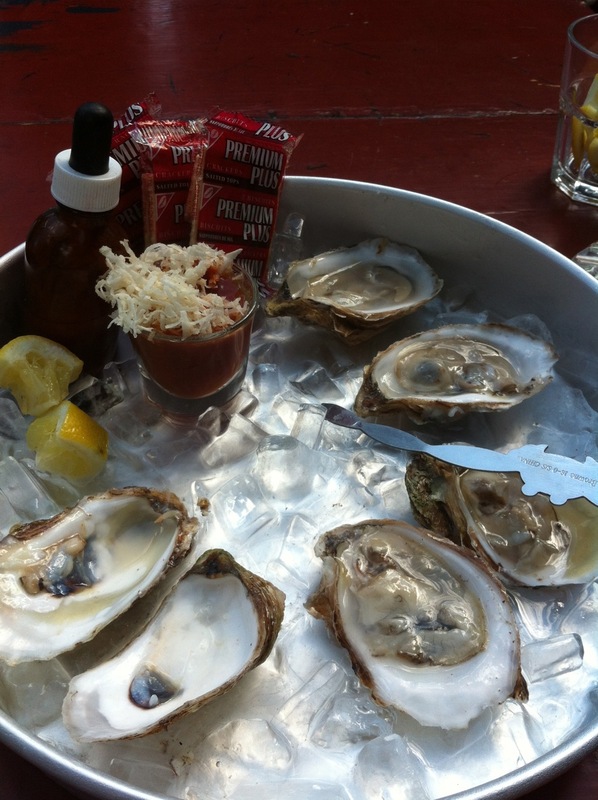 Lucille’s is committed to serving Montreal the best and freshest oysters from both the East and West Coasts. The oyster selection changes daily, but their beloved classics like Fish 'n Chips or their oh-so-popular Lobster Rolls, remain the same. Not only can you swing in for some fresh seafood, but they can also cater your next party! I am pretty sure you have all heard of Montreal's darling Joe Beef. If not, it's time you check them out! They are known for their legendary steak and seafood. Nestled in Little Burgundy, you can be sure to expect some outstanding flavours and a friendly staff. With summer just around the corner, Ice House has to be near the top of your list. This restaurant is small, but full of character. In the summer, you can enjoy full-patio access. Order chicken, ribs, mouthwatering tacos, and, of course, oysters! Oyster lovers, get ready for a jaw-dropping experience. This place carries over 40 different types of oysters under one roof! They bring in their impressive selection from places such as: P.E.I, Nova Scotia, Virginia, Washington, Cape Cod, British Columbia, and Europe. Pretty impressive, eh? Le Filet has a decadent seafood selection. The service here is way above par, their wine list is extensive, and their food presentation is a thing of beauty. Honestly, I have nothing negative to say about this one. Try the Scampi Risotto if you get the chance. 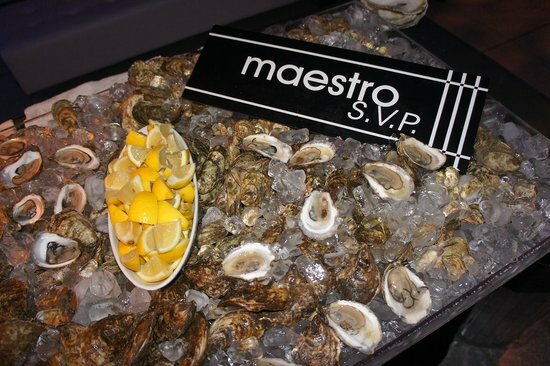 This swanky Montreal oyster bar is a perfect fusion between classy and chill. I’d be comfortable going dressed-up or straight from work. 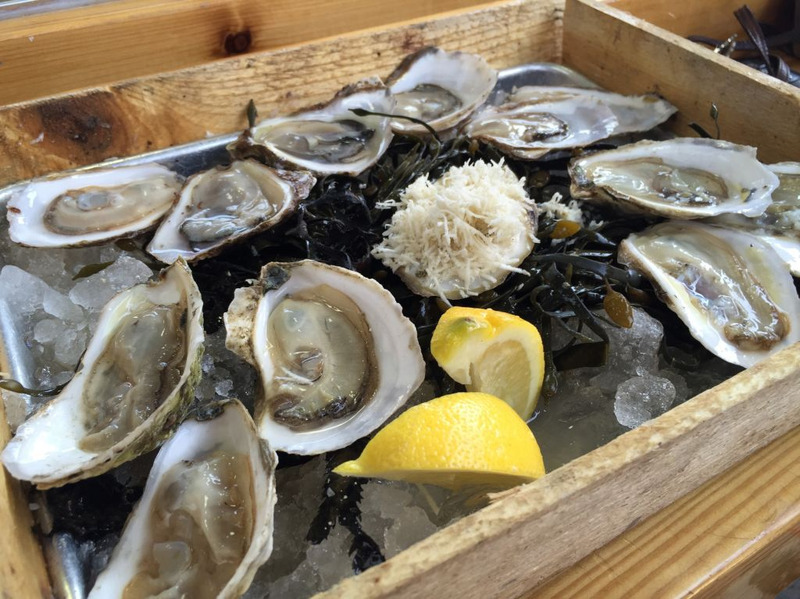 Pull up a chair at the bar, grab a cocktail, and treat yourself to some deliciously fresh oysters! They also have a delicious selection of crab, shrimp, and scallops. This place makes you feel like you've walked right onto the coast. It is a massive fresh fish market with a restaurant attached. They have a huge selection of whole fish, shellfish (including oysters), and fillets if you feel up to cooking your own feast. If not, the restaurant's incredible menu is full of the freshest seafood.